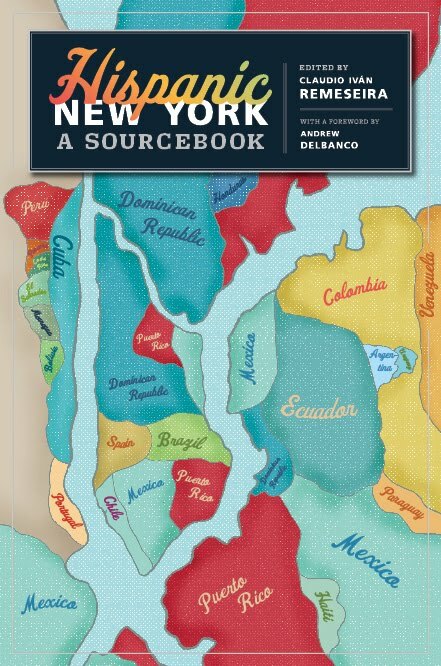 A compelling case for New York as a paradigm of the Latinization of the U.S., Hispanic New York is the ultimate reference book on the city’s Latino, Latin American & Iberian cultural heritage. 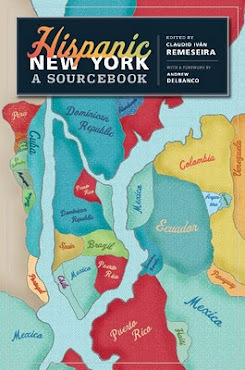 Hispanic New York -- A must-read for anyone interested in the contributions made by Latinas and Latinos to the U.S. national identity and to the interconnections between the English- and Spanish-speaking worlds. HISPANIC NEW YORK edited by Claudio Iván Remeseira (576 pages) paper copies ISBN 978-0-231-14819-1 regular price $29.95. Cloth copies ISBN 978-0-231-14818-4 regular price $89.50, $71.60 after discount. Regular shipping and handling costs apply. This is wonderful, Claudio. CONGRATULATIONS!! Fantastico! Great project, long overdue, and expecting more! I’ll be making room in my bookshop’s shelves for this title. It’s certainly worth supporting and promoting. One question and request. When celebrated and supported projects, such as this one, come together to feature, support, and recognize the work and success of a group of people, it would only be fitting and special to see the project include them in the celebrated success. That is, why not give an independent Latino bookstore the first opportunity to promote and sell this title? After all, it is the independent bookseller that will work harder in promoting the title and getting it in the hands of many readers, as it is the passion to advocate for such titles. Our job is to help others get to where we are. We need to start thinking as sources for advancement of others. I am certain that Aurora Anaya-Cerda, Latina owner of La Casa Azul Bookstore in NYC, would support and enthusiastically promote this title if given the opportunity to be listed first among the big stores to order online. It would be special to see La Casa Azul Bookstore’s link among the two others up there. Consider it, for the advancement and success of each other.